Intermediate Fence Quick Stop Tape System This unique design allows the use of our Quick Stop to make accurate repetitive cuts on the Intermediate Fence. 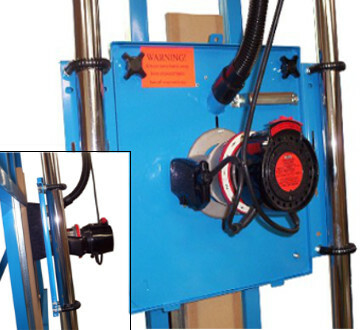 Horizontal Flip Stop Tape System This heavy duty system comes with either 2 or 3 Flip Stops. 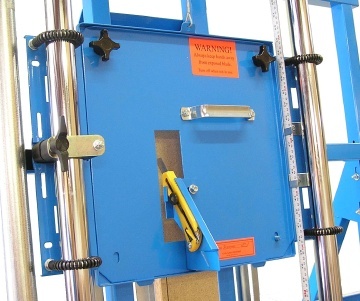 This will allow you to cut rectangular pieces without constantly adjusting one stop. 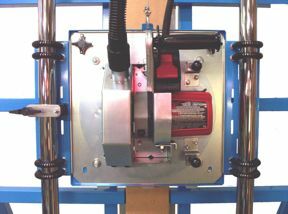 Horizontal Tape System with Quick Stop This system incorporates the use of our Quick Stop to make accurate repetitive cuts. The Quick Stop slides to the left and right. 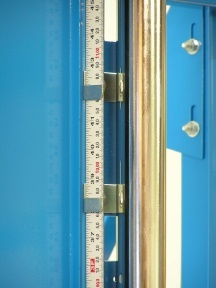 Half and Full Length Frame Extensions This option allows the expansion of 2-1/2' or 5' to any of our Panel Saws. 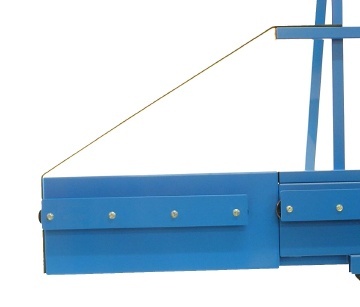 Spring Hold Down Bar The spring fingers will press thinner or flexible materials tightly against the frame. 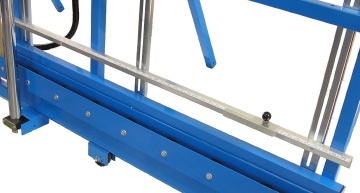 There is an adjustable tension knob at top of bar. 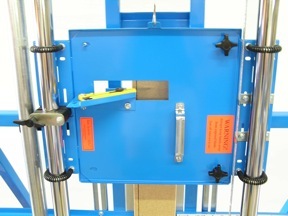 Vertical Tape System Used when accurate rip cuts (left to right / right to left) are required. Comes with two adjustable tape pointers. 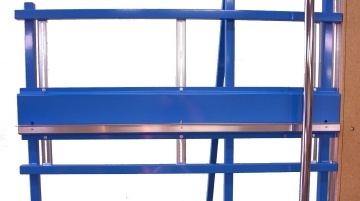 Universal Saw Plate Used to mount most saws on the market today. Mounted saw and saw plate must be removed and repositioned to rip cut. Universal Router Plate This unique Router Plate allows for the mounting of a 2, 3, or 4 hole router base. No need for extra clamps. *Features a new vacuum Dust Port and Dust Brush. Razor Knife Plate Our patented design utilizing the OLFA® CL Cutter will give you safe, straight and accurate cuts on such materials as Coroplast®, Gatorfoam® foam board, cardboard or any material that can be cut or scored with a razor knife. The Razor Knife Plate (patented) will cut vertically and horizontally. You can horizontally cut 60"wide material in the 52" crosscut machine and horizontally cut 72" wide material in the 64" crosscut machine. The OLFA® cutter on our Razor Knife Plate (patented) is dual adjustable. You can lower the cutter next to the material to be cut then extend the blade to cut through the material. The blade runs in the same track in the Backer Board as the saw blade does. 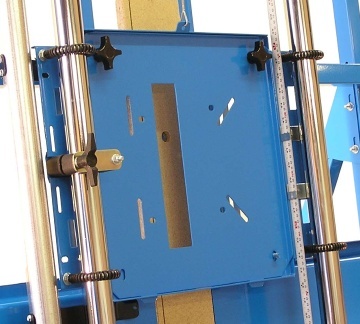 A Backer Board for a panel saw is important because it prevents the material being cut from flexing backwards and producing wavy and bevel cuts. Using a Backer Board will insure that you get straight and precise cuts each time.